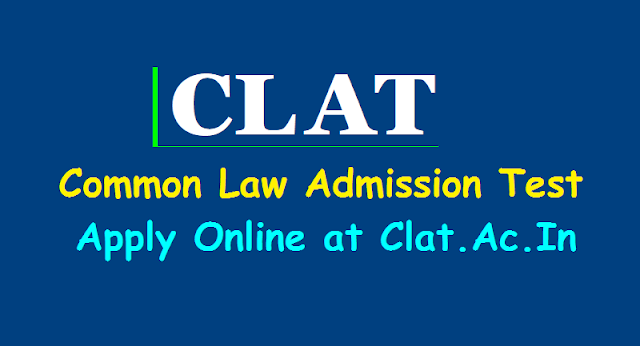 Law admission test to be held online, Law entrance test, CLAT Exam 2019, Common Law Admissions Tests, CLAT 2019 Schedule, #CLAT 2019: The Common Law Admission Test (CLAT) 2019 will be held on May 12. The online application process will begin in January. CLAT 2019 will be conducted by Nuals Kochi for admission in Integrated LLB and LLM courses offered by 19 National Law Universities of India. In 2017, the examination was conducted by the Chanakya National Law University, Patna. CLAT (Common Law Admission Test) 2019: Taking into consideration the technical glitches experienced in the past years, the Common Law Admission Test (CLAT) will be conducted in offline mode from 2019. The decision was taken at the fourth meeting of the Consortium of National Law Universities (NALSAR) that took place in Hyderabad on Thursday. “The decision was taken in view of the technical glitches experienced in the past few years. From 2019, students will again have to appear in pen-paper mode,” mentioned the official release. The consortium emphasised the need to create a question bank and to improve the quality of the paper. “To improve the quality of the question paper of CLAT, the consortium resolved to create a question bank to which experts from all the NLUs and other institutions would be asked to contribute,” read the press release. At the meeting chaired by NALSAR Vice-Chancellor Prof Faizan Mustafa, the consortium agreed to set up a CLAT secretariat and a permanent website that would function throughout the year from its permanent office in Bengaluru. The CLAT will be conducted on May 12, 2019 by National Law University, Odisha. The entire schedule of the exam will be released soon. CLAT was held for the first time in 2008 and was taken by over 40,000 candidates. The test is conducted by India’s 19 National Law Universities by rotation. The official website – clat.ac.in has started and functioning now. It will go live.... So, CLAT 2019 on May 12, Apply online from January 13 for admissions to Law Universities in India. Common Law AdmissionTest, CLAT 2019 dates are out. As per the notifications shared by National University of Advanced Legal Studies NUALS, Kochi, CLAT 2019 would be conducted on May 12, 2019. The online application forms for CLAT 2019 would start from January 13, 2019, and continue until March 31, 2019. Candidates interested in applying for admissions to 19 national law universities in the country are required to apply for CLAT 2019. CLAT 2019 dates would be confirmed in December last week. CLAT is conducted by the consortium of National Law Universities for admissions to the bachelors in law course across India. Other details of the examination would be released when the official website is launched. The same is not updated at present. Please note, admission to Delhi's National Law University is not done on the basis of CLAT but instead on the basis of All India Law Entrance Test, AILET 2019 would be conducted on May 5, 2019, across various centres. For CLAT, there are 19 national law universities that accept the score for a total of 2300+ seats at bachelor's level. Eligibility for CLAT 2019: The actual details of CLAT 2019 are not released as yet. However, barring changes implemented from this year, any student who have completed or is appearing in his higher secondary certificate or 12th/ equivalent examination from a recognized board. Also, there was an age limit applied for the three and five years integrated courses in law but were changed by the Bar Council of India. As per the latest notification, the upper age limit for a three-year course has been increased from 30 years to 45 years. As for the 5-year integrated course in BA LLB and MA LLB, the age limit has been increased from 20 years to 22 years. The candidates from general category are required to have scored a minimum of 45 percent in their qualifying examination to be eligible. For candidates belonging to the reserved category, the minimum requirement is 40 percent. A. UG programmes: The candidates must have passed class 12 or its equivalent examination from a recognised board. Those students appearing for their board exams this year can also apply. To be eligible for the exam, the students should score minimum 45 per cent marks (40 per cent in case of SC and ST candidates). B. PG programmes: The candidates must have completed a five-year integrated LLB programme or its equivalent degree from a recognised university as prescribed by the participating universities. The candidates should score a minimum of 55 per cent marks. For SC and ST candidates, it is 50 per cent. The notification does not mention any age limit in its section on eligibility criteria. The application fee will be Rs 4,000 for general, OBC, specially-abled persons and other categories. For SC and ST category candidates, it is Rs 3,500. The candidates can pay the fees done through debit/credit card and net banking. CLAT- 2019 or the Common Law Admission Test (CLAT) 2019 for admission to 19 national law universities' (NLUs) undergraduate and postgraduate degree programmes will be held on May 12, from 3 pm to 5 pm. Here are some important things that candidates should keep in mind for the CLAT 2019 UG or LLM programme. Applications for the exam will be available from January 13, 2019, according to a notification by the National University of Advanced Legal Studies, the university organising CLAT 2019. You can check the website www.clat.ac.in for the admission forms. Apart from these universities, CLAT is also accepted by major Law Schools. Candidates are advised to wait for the official prospectus of CLAT 2019 for detailed information. The official website has been started for CLAT 2019.. The all India Common Law Admission Test (CLAT) for admission to 19 national law universities’ (NLUs) undergraduate and postgraduate degree programmes will be held on May 13, 2019. Applications for the exam will be available from January 13, 2019, according to a notification by the National University of Advanced Legal Studies, the university organising CLAT 2019. You can check the website www.clat.ac.in for the admission forms. CLAT- 2019 exams will be held on May 12, from 3 pm to 5 pm.Last date for submission of the admission form online with preferred NLUs listed in order of preference is March 31. Step 1.According to information on the website www.clat.ac.in , the CLAT- 2019 application form has to be filled online. Step 2. It can be accessed from the CLAT-2019 website (www.clat.ac.in). Step 3. Candidates have to register on the CLAT-2019 online application webpage by using their personal e-mail IDs and mobile phone number. Step 4.To register the application, candidates have to choose the tab ‘Click here for new registration’ and enter name, email-id and mobile number. A provisional registration number and password will be generated by the system and will be sent to the candidate through email and SMS. Step 5. Candidates have to use this provisional registration number and password to log in to fill the online application. Step 6. It’s important that candidates spell their and their parents’ names correctly and as mentioned in certificates, mark sheets and identify proof. Not doing so would disqualify candidates. The last date to submit the application form is March 31.